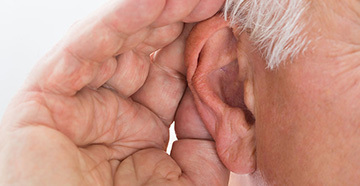 Hearing loss is not just a condition suffered by older people. It can strike at any age, and has many causes: noise exposure is just as common as aging. 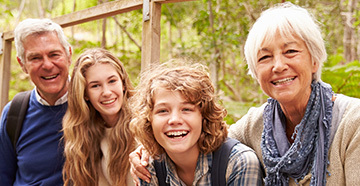 Approximately two-thirds of hearing loss patients are younger than 65. 85 decibels (dB) is considered the threshold for safe hearing. Exposure to noises above that level, even briefly, can result in permanent hearing loss. 85 dB is equivalent to busy city traffic. The louder the noise, the less time it takes for hearing impairment to occur. 8 hours of exposure to 85 dB is equivalent to 15 minutes of exposure to 100 dB. Sensorineural hearing loss or “nerve deafness” is by far the most common type of hearing impairment. 90% of patients with hearing loss have this type, the result of damage to the hair cells in the inner ear. Sensorineural hearing loss is usually permanent. It can often be treated with hearing aids or cochlear implants. Conductive hearing loss, caused by damage to the outer or middle ear, is often treatable with medication or surgery. Noise induced hearing loss can be prevented in most cases by wearing hearing protection when exposed to dangerous noise levels. The medical term for age-related hearing loss is presbycusis. This condition affects 1 out of 3 individuals aged 65 and older, a number that increases to 1 out of 2 over the age of 75. Signs of hearing loss are not always easy to detect, since the condition develops gradually over a period of time. It often takes a family member or friend to make the hearing impaired individual aware of his/her condition. Symptoms of hearing loss include speech that is difficult to understand or sounds muffled, the frequent need to have others repeat themselves in conversations, turning up the volume on the television or radio to levels others find uncomfortable, and social withdrawal.